Cryptococcosis is a common infectious disease caused by the yeast-like fungus Cryptococcus neoformans. This fungus is widespread in the environment and infection can occur in cats, dogs, humans and other animals. The organism has worldwide in distribution but is most prevalent in temperate areas such as Australia and North America. It present in areas contaminated with bird (especially pigeon) droppings. Pidgeons themselves don’t become affected due to their higher body temperature which doesn’t support the growth of the fungus; it passes through them and out via the feces. 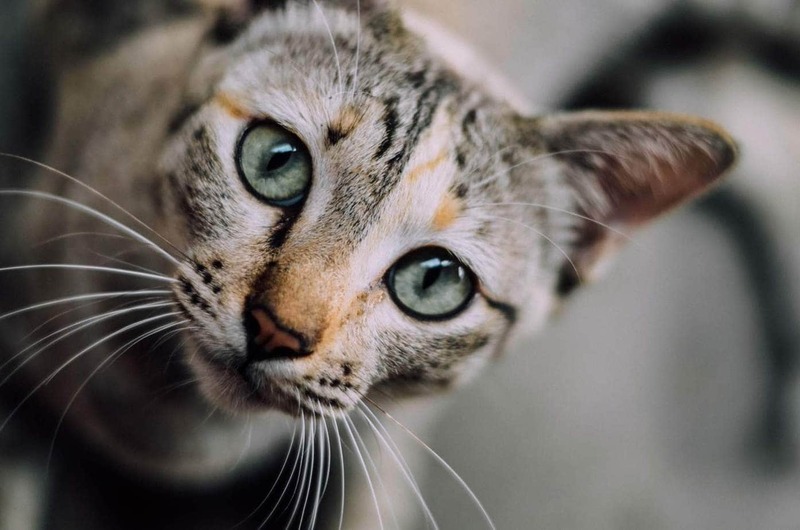 Immunocompromised cats such as those infected with FeLV or FIV are especially vulnerable to infections such as cryptococcosis due to their weakened immune status. Infected cats do not pose a risk to humans. Inhalation is the primary route of infection, less common modes of infection include inoculation or ingestion of the yeast cells. Inhalation: Cats become infected when they inhale spores in the environment. It is the most common systemic fungal disease to affect cats. Dry yeast cells (basidiospores) are inhaled; they may remain localised in the nasal cavity and/or the lungs. In healthy animals, the fungus may remain isolated without causing the cat any problems. However, in immunocompromised cats (such as those with FIV or FeLV), the fungus may spread locally to the CNS or through the body via the bloodstream. Affected areas may include the eyes, brain, skin, central nervous system, and bones. The incubation period is unknown. Symptoms vary depending on the organ systems involved. If the infection remains localised in the nose, your cat may have no symptoms. If dissemination occurs, symptoms will vary according to the location of the infection. The most common areas include the lungs, eyes and brain/CNS. The nasal form is the most common to occur in the cat. Your veterinarian will perform a complete physical examination and obtain a medical history from you. Diagnosis made by identifying the pathogen in a sample. Cytology: Cellular examination from a sample of nasal discharge of cerebrospinal fluid to look for the presence of Cryptococcus. Histopathology: Examination of biopsied tissues of skin nodules, lymph nodes, nasal mucosa. Latex agglutination test (LAT): This test detects antigens from the capsule of the fungus in the blood. False negative tests may occasionally occur in cats with localised infection. False positives also sometimes occur. Fungal culture: If a negative antigen test occurs, a culture may be necessary; this involves taking a sample of skin, blood, mucosal surface or bodily fluids which is then grown on a medium. Diagnostic imaging: Xrays of the nasal cavity may be useful. The veterinarian may also recommend a biochemical profile, complete blood count, and urinalysis as well as FIV and FeLV tests to gain an insight into the general health of your cat. Itraconazole, fluconazole or ketoconazole are the drugs of choice for treating cryptococcosis. Treatment with anti-fungal medications can take several months and up to a year. Cats with the CNS form may require lifelong medication. Liver and kidney function need to be regularly monitored while your cat is on these drugs. Side effects such as anorexia and vomiting may occur. Amphotericin B for cats where the fungus has spread to the CNS or disseminated through the body. This drug is extremely potent and careful monitoring is necessary due to its potential side effects on the kidneys. Surgical removal of the lesions in the nasal cavity. Removing discharge from the nose and eyes with a damp cloth which will assist breathing. Supportive care such as a feeding tube and IV fluids if necessary. Your veterinarian will want to perform repeat antigen tests on the blood to monitor your cat’s response to treatment. The prognosis is generally good for immunocompetent cats where the infection hasn’t disseminated; however, those with systemic disease and/or cats with FIV or FeLV don’t respond as well. Can cats transmit cryptococcosis to people? There are no reported cases of human infection from infected cats. There is no vaccine for this disease; the only way to reduce your cat’s chances of infection is by limiting his exposure to potentially contaminated environments. The best way to do this is to keep him indoors or give him access to a cat enclosure.